Signaling the most aggressive open data push in the international development community to date, diagnosis World Bank President Robert Zoellick launched Data.WorldBank.org this morning ahead of the organization’s spring meeting. 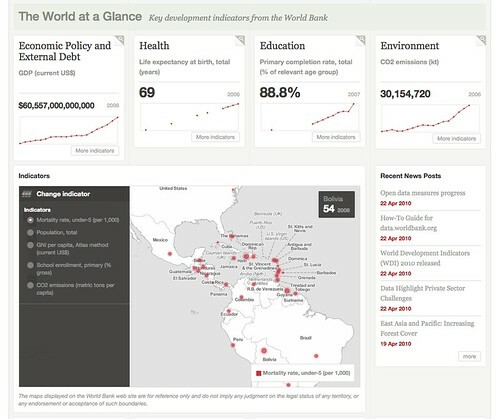 All of the World Bank’s 2,000+ data indicators are now open and freely available to the public. This new website is the browser for some of the most commonly used data, built to let researchers and policy makers filter though the vast data sets and quickly jump to indicators. The site currently includes 339 indicators from 209 countries, and this is just the start. 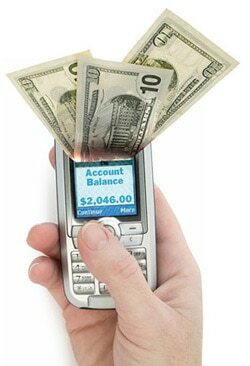 Over the next several weeks we will work with the World Bank’s team to add an additional 700+ indicators to the site. There is also a serious second phase road map that focuses on improving access to the the API and building capacity among a community of developers to better use the data.